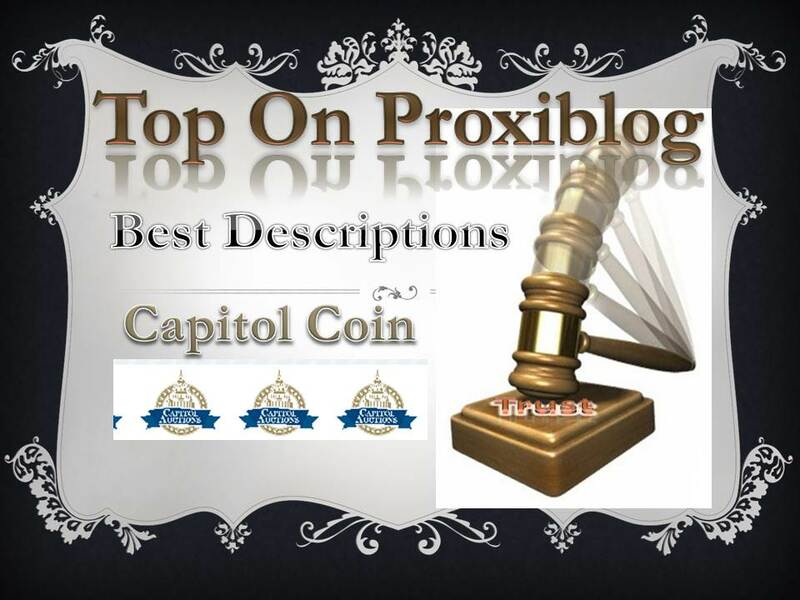 Capitol Coin Auction, operated by Brad Lisembee of Evansville, Indiana–a top-ranked house through much of 2012 on Proxiblog–has won the category of “Best Descriptions,” based on numismatic knowledge–especially the ability to identify flaws and rarities in consignments. Once again, this was a close competition, as you will see in the Honorable Mentions category, with eight houses named whose auctioneers also are experienced numismatists. Last year’s winner was SilverTowne Auction (Honorable Mention this year) which still enjoys veteran numismatist Larry Fuller calling coins as he sees them. 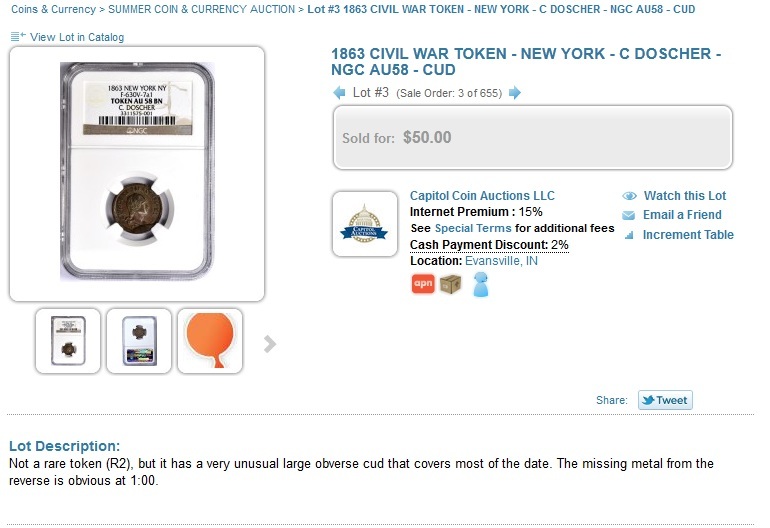 Click and expand the picture below to see how Brad Lisembee describes and adds to uncommon Civil War tokens slabbed by a top company. To give you an idea of how much information Capitol packs in its descriptions, click and expand the photo below. As noted previously, several Honorable Mention houses gave Lisembee a run for his “money,” literally. SilverTowne’s Larry Fuller was present most of the year with his snappy descriptions; Sean Cook of Liberty Shops Auctions remains one of the most meticulous graders on Proxibid; John Leonard of Leonard Auction is a conservative and respected numismatist; Owen McKee is sharing more of his numismatic knowledge; and Eddie Caven of Key Date Coins continues to describe flaws and VAMs with honesty and precision along with Dave Weaver of Weaver Auction and Jim Haver of Star Coin and Currency. Moreover, all of the auctioneer-numismatists named above put a high premium on customer service and return customers. That’s why we’re delighted to honor Brad Lisembee with our Best Description Award and the above houses as Honorable Mentions in that category. 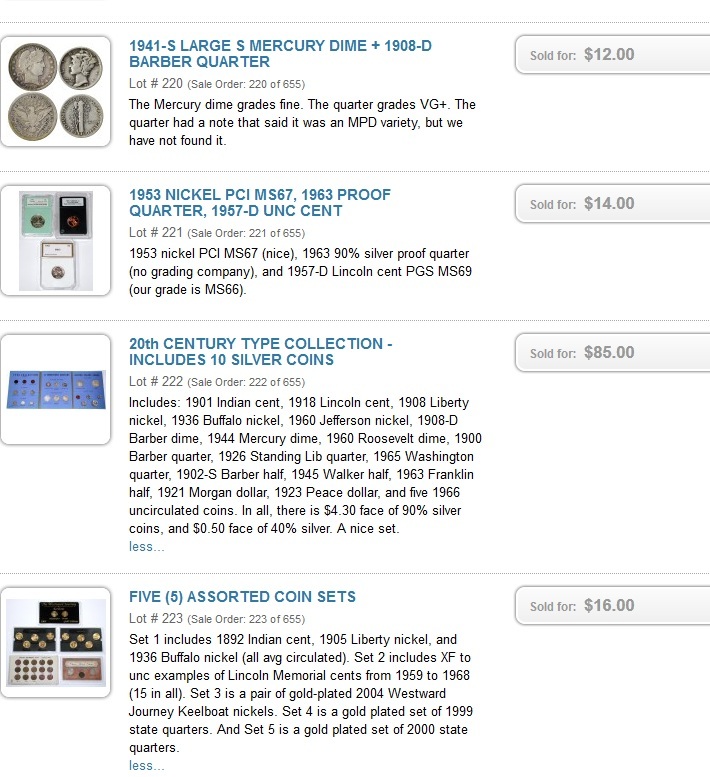 This entry was posted in TOP Awards, Uncategorized and tagged American Numismatic Association, Auctioneers, AuctionZip, Best Practices, Capitol Coin, Coin Auction, iCollector, Key Date Coins, Leonard, Leonard Auction, Liberty Shops, McKee Coin Auction, National Auctioneer Association, Proxibid, Proxiblog, Star Coin and Currency, Weaver Auction. Bookmark the permalink.